Since our Mother’s Day buttons craft was a hit, we’re now sharing a Father’s Day button craft with you today! 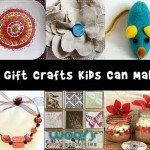 These are fast and easy crafts that kids can make in less than 10 minutes (or 5 minutes for crafty kids!). What makes them so easy to make is this button making kit that is super affordable and easy to purchase online. The pieces simply snap together and no extra equipment is required! They come in packages of 6 or 12, so you can use the extras to make your own message buttons! All you need to make this Father’s Day printable craft is a printer, the kit, and some scissors. 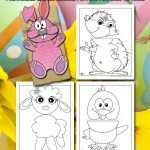 There are two printable button templates below, one with a cutting line, and one without. We do this to accommodate different printers and to make the project as easy as possible for kids to make. 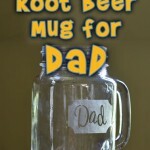 Also check out our popular Father’s Day mug craft that went a little viral when it was first posted! Here’s how you make these buttons – cut out the artwork of your choosing and snap it into the button kit – it’s really that easy! You can print this button artwork on any kind of paper, but regular copy paper is best. Heavier card stock isn’t as flexible nor is is necessary for this project. 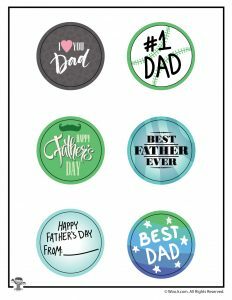 Father Day buttons- brilliant concept! Wish you had some messages were in Spanish!! My preschool students are the children of Oaxacan ag workers who live with no electricity, no running water, no sewage, and often dirt floors.